This could be the instruction from the DfT or it’s just the way it’s coded for reporting and attribution purposes. Not going to happen but perhaps they need an 'under orders from Dft' code. Except the DfT distances itself from operational decisions. Admitting a level of involvement opens them up to criticism. That’s what they pay private companies to do!! Even if they are under orders to not blame the DfT, surely there is a code for staff training, or the need for units elsewhere, that better covers this situation? No need to even mention the DfT? Broadgage is certainly correct in that the transitional phase has been particularly badly managed, regardless of who is to blame. I have now travelled on about 5 IET services, and apart from the short formations, the worst issue for me has been the wrong announcements that are made in the train and wrong information shown on the internal screens. All 5 journeys have had this problem. Some have come from what I assume is a preset computer system which hasn't been set to the actual journey, so that, for instance on my journey yesterday, the screens showed and the announcements made said that after Reading the next stop would be Swindon, when the train was actually due to stop at Didcot Parkway. The screens also stated that the train would terminate at Temple Meads, when it was actually terminating at Weston-super-Mare. On a previous journey on an IET I made just from Temple Meads to Bath Spa, the announcements started to announce our arrival at Bath Spa before we got to Keynsham, and then started announcing that the next stop would be Chippenham just after we had gone though Keynsham. The problem with all of this, is that many travellers will be left thoroughly confused, and some may well get off at the wrong station. It's not as if we don't get any tourists on this line, and if I heard this sort of misinformation as a first time traveller, I might well make a bad mistake, and even if not, would be put off from using the service again. What is going on with the communications system that has meant issues like these still seem to be happening all the time? That issue has been reported by all staff and Hitachi are working on it. The onboard system doesn’t recognise all the headcodes so the system is setup using a generic route, none of the generic routes have Didcot as a calling point! How can they not have Didcot as a calling point? Apparently another issue is the system gets confused when it loses its GPS “fix” while passing through tunnels. Hence why after the tunnels at Twerton on an up service it gets out of sync with regard to the Bath Spa station stop. 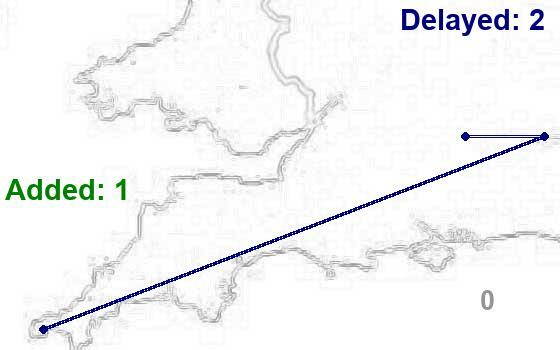 That would explain the confusion around Keynsham, as the train would have passed through the long tunnel at St Annes after leaving Bristol. But was this not an issue in HSTs? I don't remember it being one, and if not, how have we ended up with a worse system in these new trains? Sadly, a number of aspects of the information systems seem embryonic at present. Missing data is wrong; wrong data is a nightmare, and whereas regular passengers can just laugh it off, those occasional and new users who have been tempted to try the train can be seriously mislead to the extent of having their journey disrupted - but then someone may be asking "does it matter if we loose customers, as the 5 car trains can't cope anyway, let alone the capacity issues during engineering"
The positive news is that is the systems are indeed embryonic, they may well be born and grow up into a very nice child provided they have loving and thoughtful parent. HSTs don't have automatic announcements so the issue doesn't arise. Nice seat reservation in coach H, got to the train only to find there was no coach H !! I've just read that there's no little cycle logo to identify which door to put bikes in on the IETs, and that this is because Hitachi refused to allow it as part of the vinyl wrap. Can this really be true? 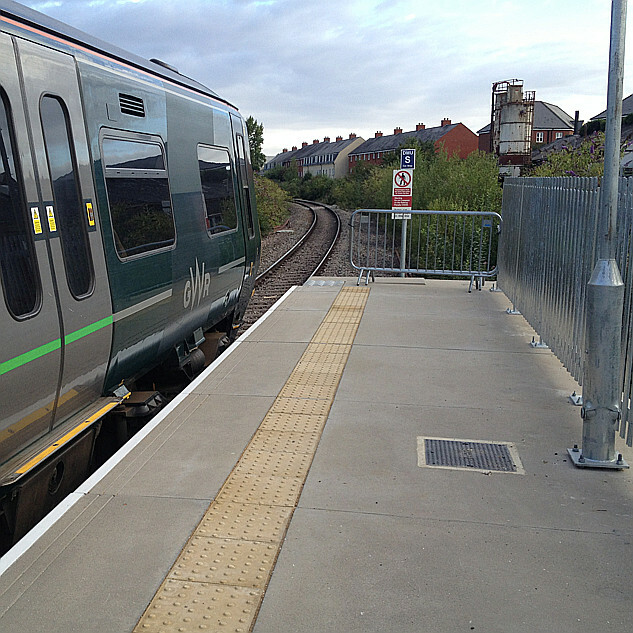 Now road.cc reader Oliver Strother has been in touch to flag up another problem with getting a bike onto a GWR service, one related to new rolling stock and the difficulty he encountered finding the part of the train where cycles are stored – and once he did, how poor the facility was. One of the problems he had was that unlike on the previous trains that the new ones have replaced, there is no sticker with a picture of a bicycle on the side of the carriage where bikes can be placed – and he was later told that the reason was that the train manufacturer, Hitachi, won’t permit them. That seems rather strange to us – given that the bike storage area isn’t going to move around the train, surely the bicycle logo could (and should) have been incorporated in the vinyl wrap of the GWR livery? Head to platform, train arrives, as the train passes I look for cycle symbol but there isn't one. I head to the last section of the train, but no bike symbol anywhere. #wheredoigo? Train manager Simon pops out and says carriage 'A' or 'D' , at this point I'm stood outside 'L'. (later the I'm told the staff are not permitted by Hitachi to put a bicycle sticker on the outside of the train).